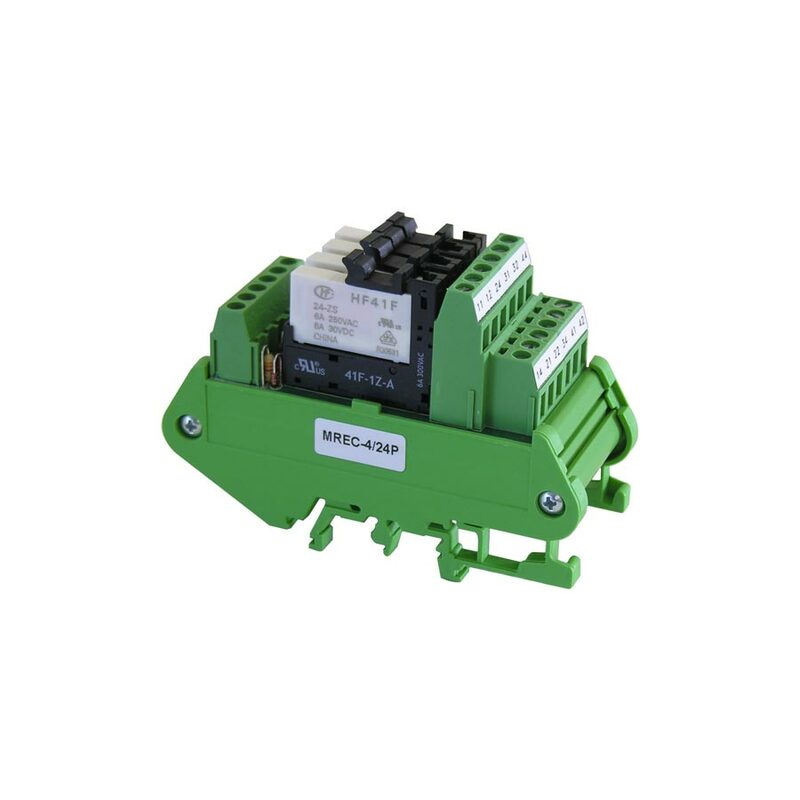 Compact module with 4 relays for the interfacing of PLC and control systems that are equipped with low current static outputs. An ideal interface also for OVERDIGIT digital output modules of the EX series in case of necessity of free changeover contacts and switching of high loads also on line voltage. The 24V PNP driving logic allows adaptation to the most widely types of PLC outputs. The relays are equipped with LEDs signalling the state for an immediate diagnosis of the system and with sockets with retaing spring for a simple and quick replacement.